Very appreciated and healthy salad. Best served cold! Boil the potatoes and beets, then cut into slices. 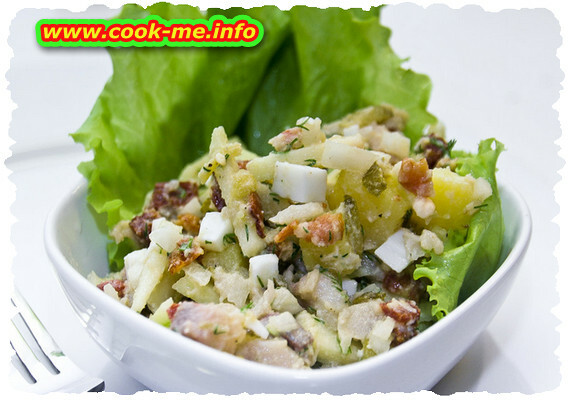 Fish are very small tear in strips, fry cut onions and diced apples. Mix it with salt, pepper, chopped parsley, oil and vinegar.